The reservoir of possibilities offered by the fundamental laws of Nature, is the key point in the development of science and technology. Quantum computing is the next step on the road to broaden our perspective from which we currently look at the Universe. 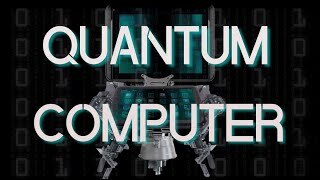 The movie shows the history of progress in this fascinating field of science, introduces the most promising models and algorithms, explains the advantages of quantum computers over classical solutions, and finally presents wonderful people thanks to which the quality of our lives is constantly being improved. Even if you don't want to understand the video, please watch till the end at least to realise how big is the human thirst for knowledge. When the Computer Mouse Was NewThe AtlanticLike how, long before Google became a verb, "computers" were humans, and the way movies were "motion pictures."